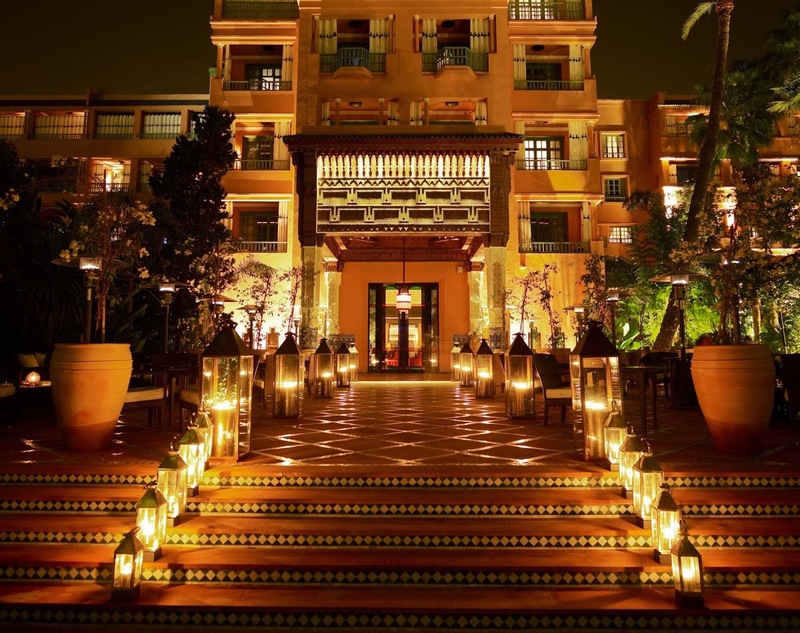 Live it up with a trip to the legendary La Mamounia hotel in Marrakech while also enjoying Exclusive Complimentary Perks when you book your stay across WhataHotel!. 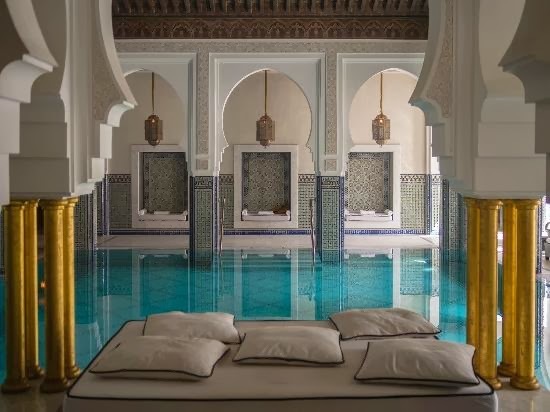 Traveling to the alluring country of Morocco will be the thrill of a lifetime and respite at the La Mamounia will only add to the trips appeal. This luxurious hotel is the most awe-inspiring resort in Marrakech, and perhaps the world, and we are sure that your time here will be absolutely unforgettable. 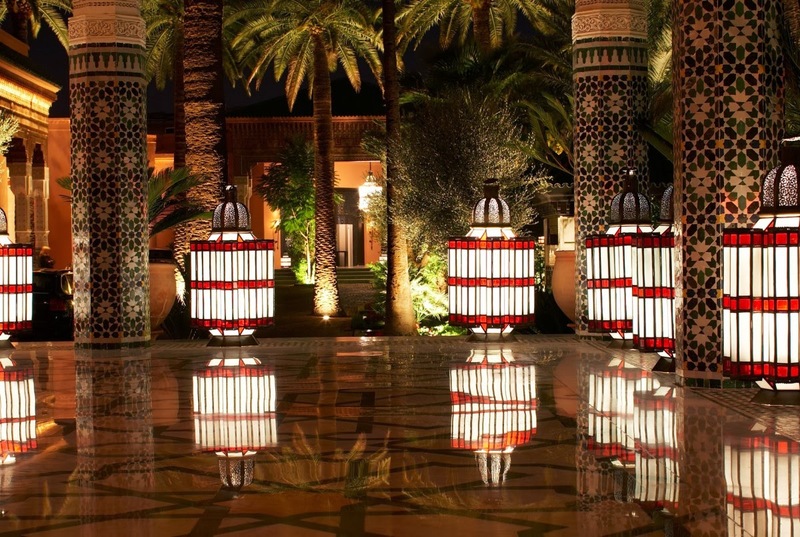 La Mamounia is an icon of Marrakech, an incarnation of Moroccan beauty and a jewel among other international hotels. Opening its doors back in the 1920's, this gorgeous hotel has played host to statesmen, movie stars, and was even the backdrop for the 1956 movie The Man Who Knew Too Much. After a three year, $180 million renovation, this beautiful hotel has reopened its doors and promises guests opulent architecture and lush landscaping. The guestrooms and suites are all decorated in a traditional Moroccan style but also feature all of the necessary modern amenities to ensure a comfortable stay. Vistors can delight in the intricate details from the tile work to the furnishings. Every corner of La Mamounia is a true work of art. Lucky guests will revel in the glamour of the outdoor pool and gardens, while they can also relax in the tranquil spa while enjoying a rejuvenating treatment. The dining options here are delightful, serving up authentic Moroccan, French and Italian food in one of the three on-site restaurants. All three locations promise an intimate setting in an authentic atmosphere for a memorable meal. 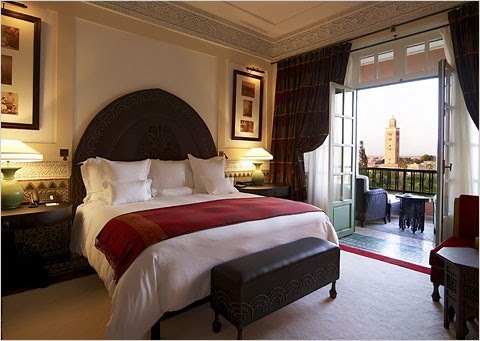 While the on-site activities are truly exemplary, the city of Marrakech is also thrilling. The hotel's helpful staff can assist you with every question or reservation required for the perfect trip off hotel property. 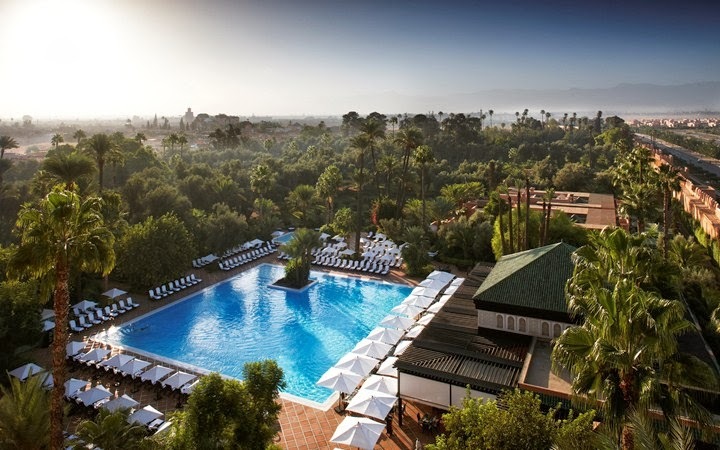 Explore the glamour of La Mamounia and the magnetism that is Marrakech. Set inside the walls of the old city, this stunning hotel is a peaceful locale that is almost completely hidden away from hustle and bustle of the nearby markets. When booking your travel to La Mamounia across WhataHotel!, guests will receive not only impressive service and luxurious amenities but also Exclusive Complimentary Perks for an unbeatable deal. These perks include available upgrades, a buffet breakfast for 2 each day, a private roundtrip airport transfer and options for an early check-in and late check-out. Travel to the exotic city of Marrakech, Morocco and fall in love with the traditions and people that make this city so majestic.